Goofy made his debut in 1932 in Mickey's Revue as the older-looking Dippy Dawg. As an anthropomorphic dog, Goofy's character is clumsy and dimwitted, and often seen dressed in a turtleneck, vest, gloves and a fedora that's had better days. His full name is Goofy Goof, and there's something very lovable about his childlike charm. Once you've heard it, you will always remember him for his distinctive holler, "yaaaaaaa-hoo-hoo-hoo-hooey!" 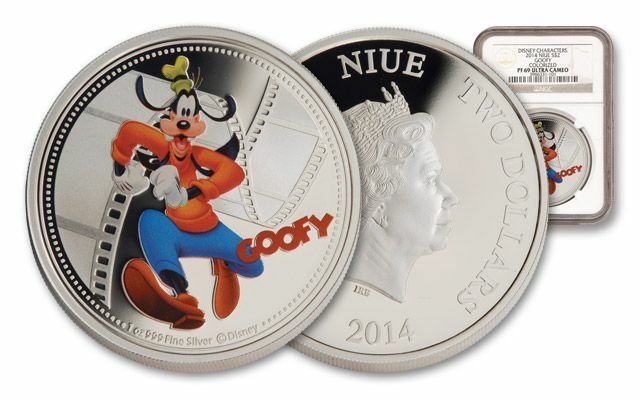 Now, you can own this legal-tender $2 Silver Proof to commemorate your favorite childhood memories. 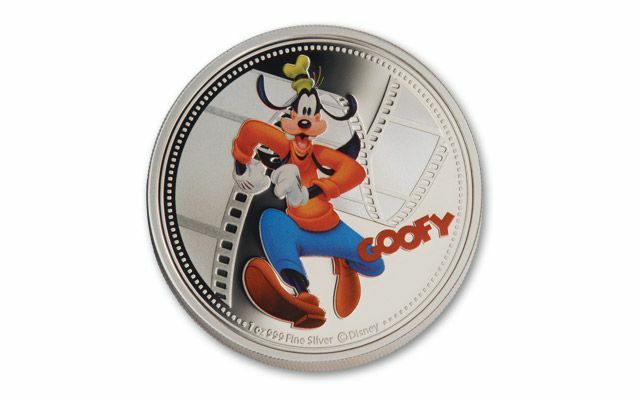 Goofy is depicted in color on the 2014 One-Ounce Silver Proof wearing his signature outfit with a film reel in the background. 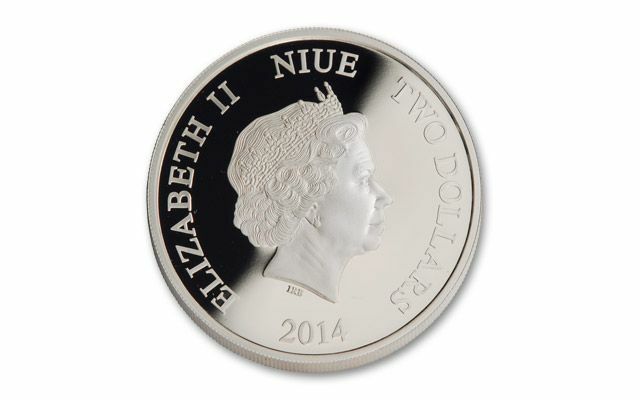 Each legal-tender colorized proof contains 31.13 grams of 99.9% silver and is graded Proof-69 Ultra Cameo (PF69UC) by Numismatic Guaranty Corporation (NGC), and sonically sealed in an acrylic holder. In addition, each legal-tender $2 proof features an official profile of Queen Elizabeth II, and it's an officially-licensed ©Disney collectible! 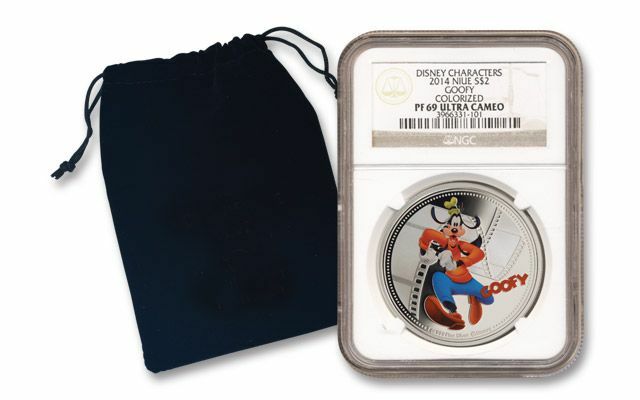 Only 10,000 of each coin were minted, which is an incredibly small number when you consider the worldwide acclaim of Disney's creations. Don't miss your opportunity to share in the explosive popularity of this commemorative issue. Each comes with original New Zealand Mint packaging and numbered certificate of authenticity.